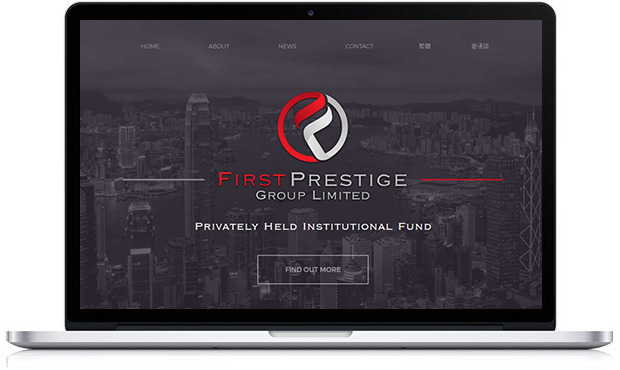 First Prestige is an innovative global investor with focuses in the Pacific Rim and Europe. We seek to maximize shareholder value while considering applicable laws, tax strategies, and the overall capitalization structure. 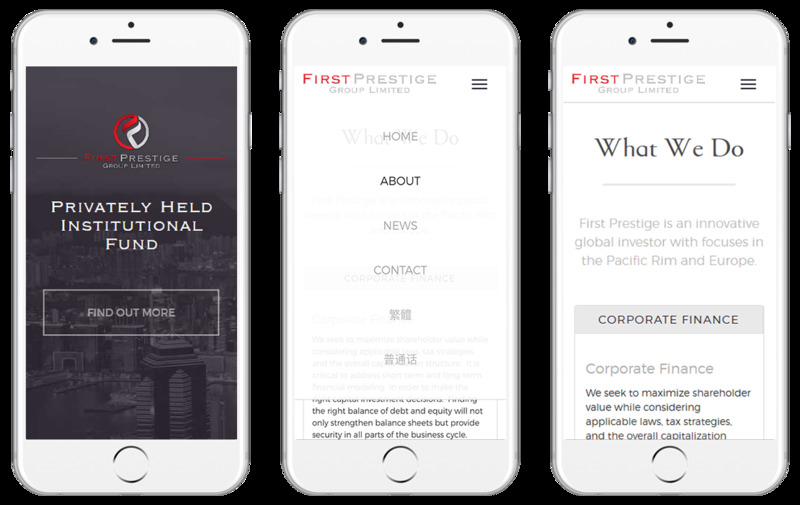 By utilizing shares of publicly traded companies throughout the Pacific Rim and Europe as collateral, we provide customized lending solutions for public companies and its' shareholders. 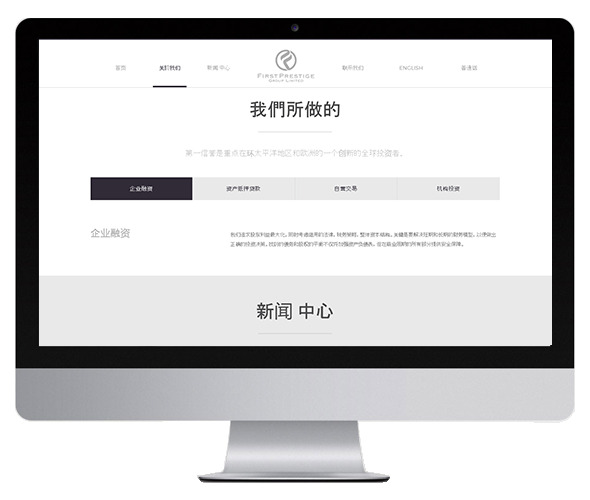 It was important for The First Prestige Group to be able to communicate with their Chinese customers, which is why we built the website to be capable of both traditional and simplified Chinese translation. 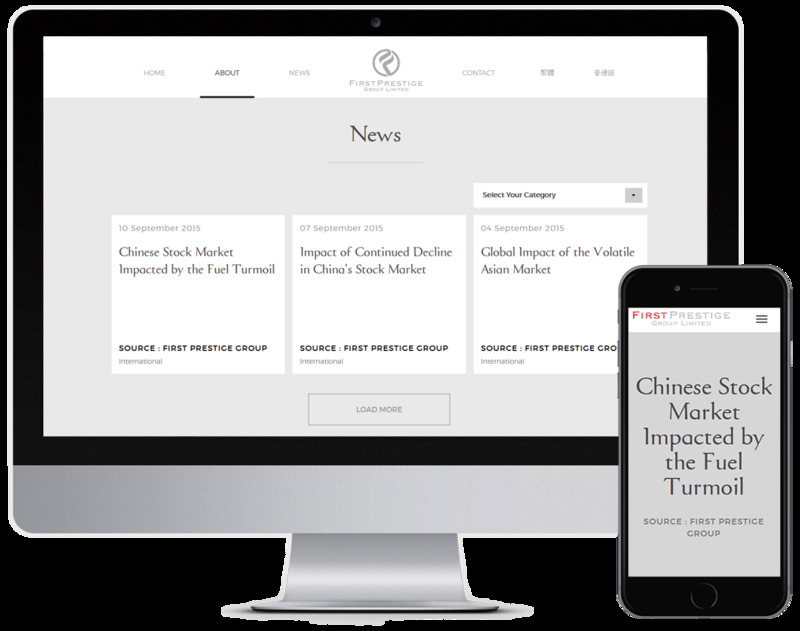 Users can select the dialect they want to view the website content in, enabling content transformation to suit the viewer's preference.